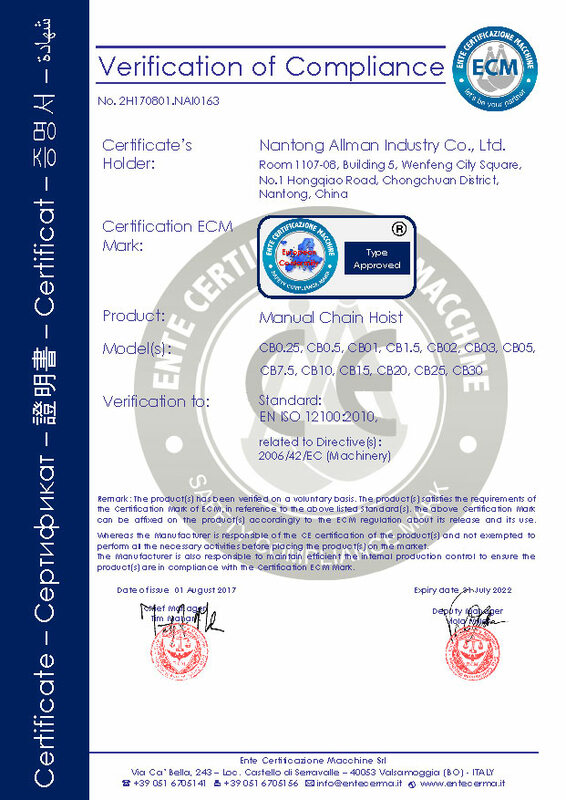 Company Overview - Nantong Allman Industry Co., Ltd.
2YRSNantong Allman Industry Co., Ltd.
ALLMAN INDUSTRY has evolved itself as a specialist in the field of crane , hoisting and lifting equipment. With over 10 years rich experience , we are capable of delivering an extensive range of material handling equipment and lifting products. Whether it comes to construction, manufacturing , mining, transportation, railway , electric power ,wind power , theater, offshore, or ship building , you name it, we provide it. Our core products including overhead cranes , gantry cranes , jib cranes , electric chain hoist , electric wire rope hoist , mini hoist , electric winches , electric windlass , manual chain hoist , lever hoist , hand winches , wire rope pulling hoist , permanent magnetic lifter , lifting clamps , load skates , jacks , hand pallet truck , chain , slings , shackles , wire ropes , aluminum ladders etc . 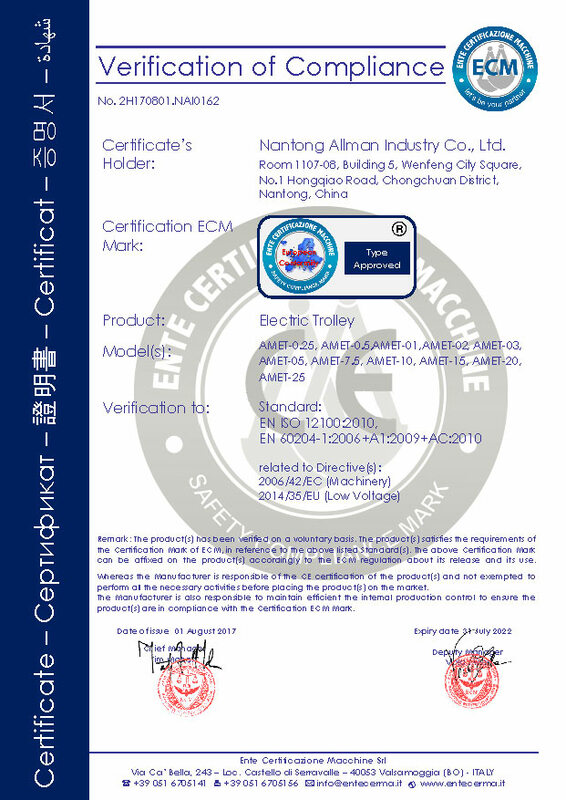 Safety, quality and professionalism are the three key words to ALLMAN INDUSTRY lifting equipment . Safety is one of the main concerns in the world where accidents could be easily encountered. Hoisting and lifting jobs is no stranger to risks. Safety can only be guaranteed by quality as well as professionalism. Our expertise in hoisting and lifting equipment and our long-acquired experience have helped us to become one of the most professional parties in this field of work. With ALLMAN INDUSTRY , you can rest assured of obtaining the best value for your money. With our efficient and well-controlled process, we safeguard continuity in our product quality. European norms and standards are complied with. We maintain a substantially great stock level that is constantly monitored. This guarantees one of the fastest delivery times among our peers. ALLMAN INDUSTRY lifting equipment is one of the most important and stable players in the market. We are well known to offer products of trustworthy and solid quality at a competitive price. In addition, we have build up an extensive distributor / agent network worldwide over the years. With this network, we ensure fast delivery and best available after sales support to our customers.